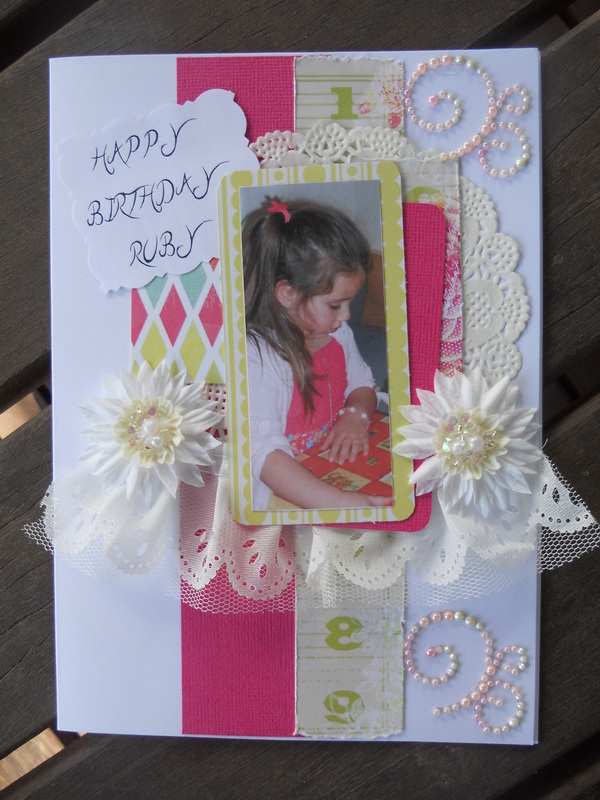 Birthday card for Ruby. She turned 7. Using an a la tart kit from Lime Tart. 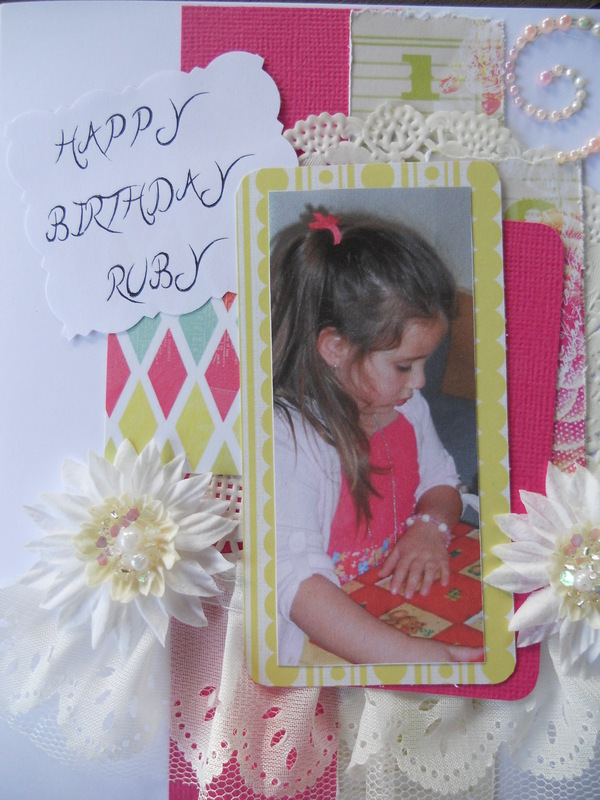 The picture of Ruby was from her 6th birthday.